So you have a little bit of BOTH parents personalities! That is one great basket! Aren't you glad you kept it? When we finally DO throw something out it seems like we invariably find a useful purpose it couls have filled. But all the stuff we KEEP.....seemingly useLESS! That's precisely why people hang on to things! (That and gratitude towards the people who gave them.) Pleased your basket survived. 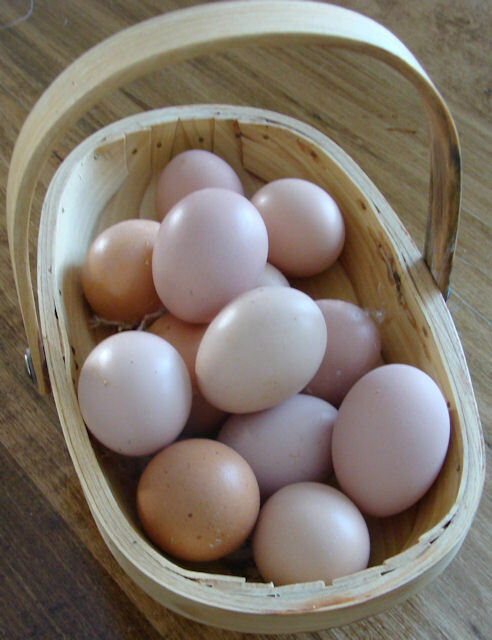 It's an odd and pleasant thing, the way something like a nice basket can enhance an already positive activity like egg collecting.